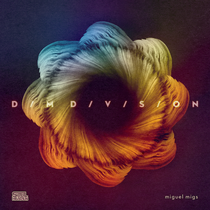 ‘Dim Division’ is the latest artist album from Miguel Migs: the veteran US producer who enlists an array of vocal talent on this moving, vibrant and cohesive LP. Miguel is possibly one of the most respected DJs, producers and label owners in house music; arguably, an artist whose influence on the current musical landscape cannot be overlooked. Migs personifies the soul-driven vibe of both the Naked Music and Salted label projects in which he has been involved and, hailing from San Francisco himself, has been influential in cultivating and pioneering the famed ‘West Coast scene’. Combining the best of the electronic music world with live instrumentation, he has carved out a deep, soulful niche, which carries with him the respect of his peers. Rather than simply packing it full of club-ready tracks, with ‘Dim Division’ Migs has created an album more focused on the listening experience. The album focuses on the songs, with intimate songwriting and subtle production taking precedent over peak-time dancefloor appeal. The album iis a collection of house and downtempo tracks that exemplify the very best aspects of Migs’ production aesthetic: fresh, buoyant and deeply soulful music that lifts the spirit, from the languorous chords of opener ‘I Can Feel It’, through the neon-flecked bounce of ‘Just Fade Away’ to the groove of ‘Heartbeat’. He has also collaborated with an international selection of artists including UK soul singer Omar, long-time collaborator Lisa Shaw, Andy Allo (who toured with Prince on guitar/vocals) and many more all making additions to the album. “I take inspiration from many different genres and try to combine these creative ideas into something cohesive, with the listener in mind but in a ‘dance’ driven direction,” says Migs of the creative process. “I love the whole process of writing and creating songs and I try to simply just do what I’m feeling, experimenting with sounds and ideas. It’s out 26 October on Soul Heaven.